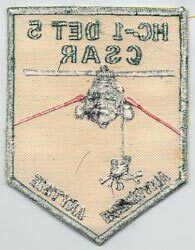 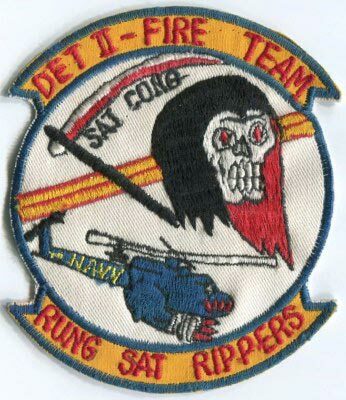 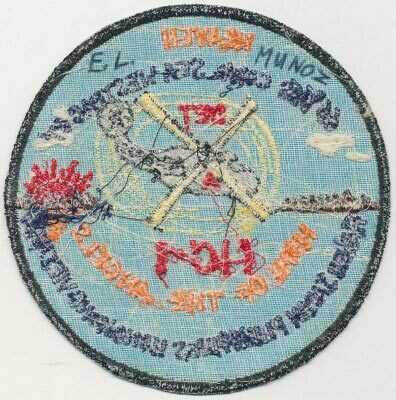 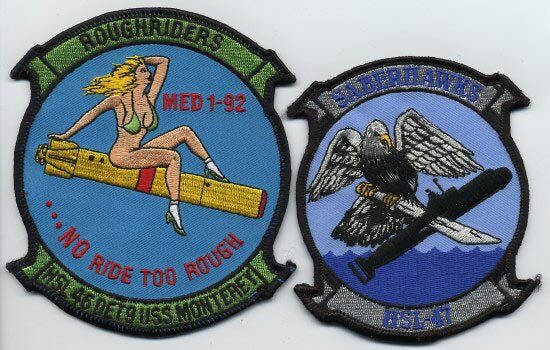 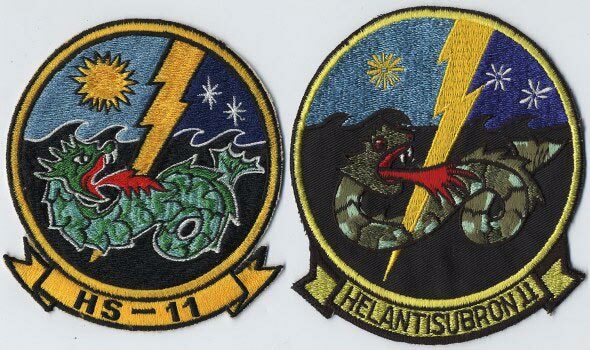 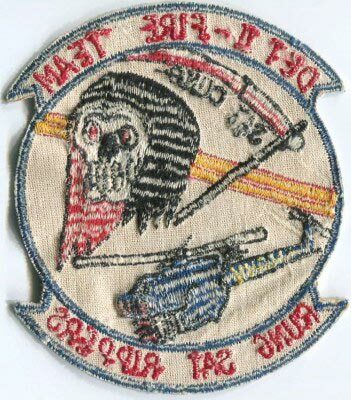 Right side(may be Katakana)....."KO RI _"
HC-1 DET-4 "Pacific Fleet Angels"
"ALFA OMEGA VIET NAM CAMBODIA '70 WE DELIVER"
"287 Missions over Japan & I came back"
HC-5 DET-2 "ALWAYS IN THE DARK"
Helicopter Antisubmarine Squadron SEVEN was originally established in April 1956 at Naval Air Station, Norfolk, VA. 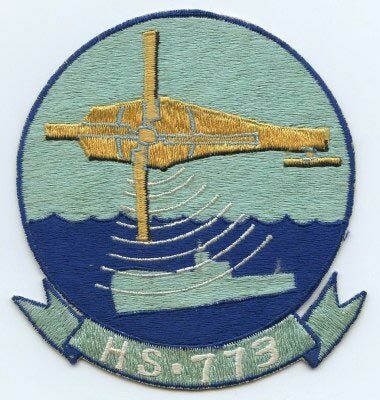 Initially served as Harbor Defense; later given ASW duties for the fleet serving aboard USS VALLEY FORGE (CVS-45) flying Sikorsky HSS-1s. 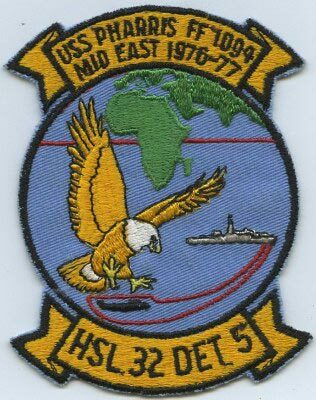 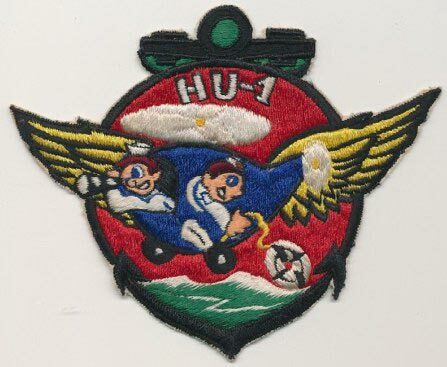 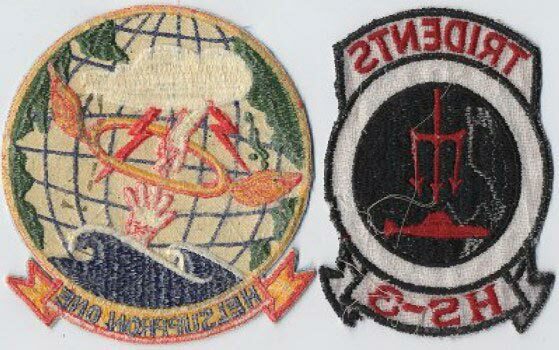 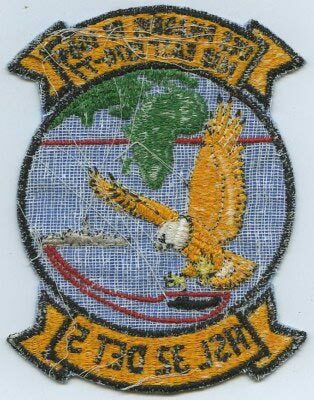 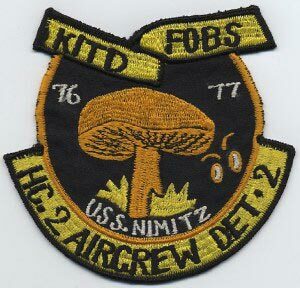 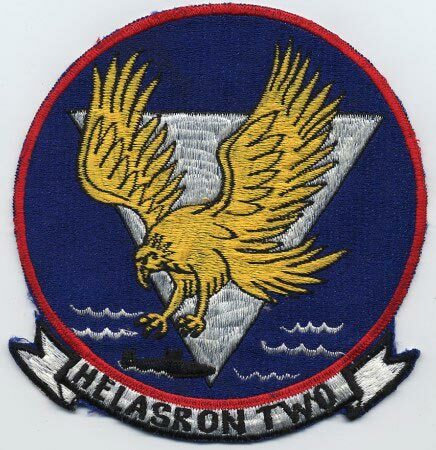 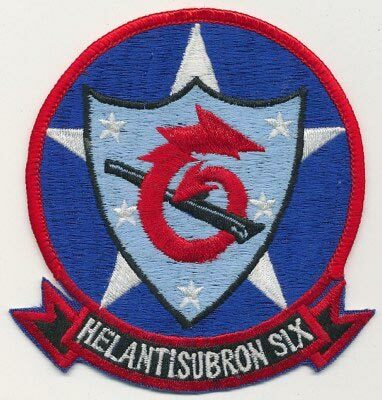 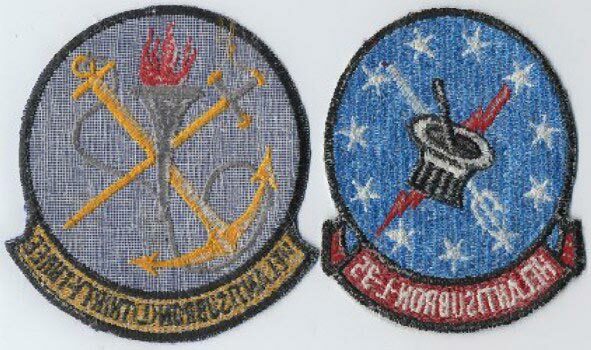 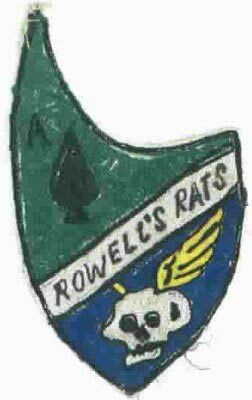 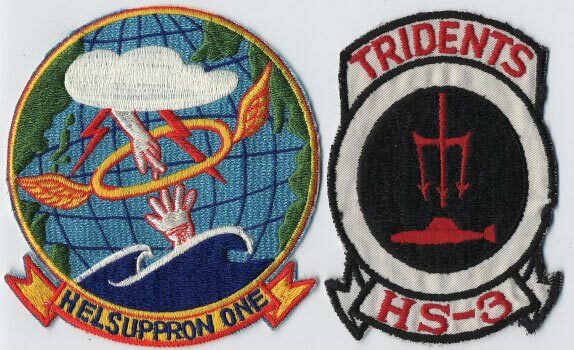 Disestablished May 31, 1966; ReCommissioned December 15, 1969 at NAS Quonset Point, RI and the First pattern Insignia was redesigned. 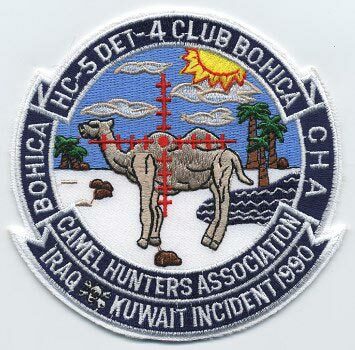 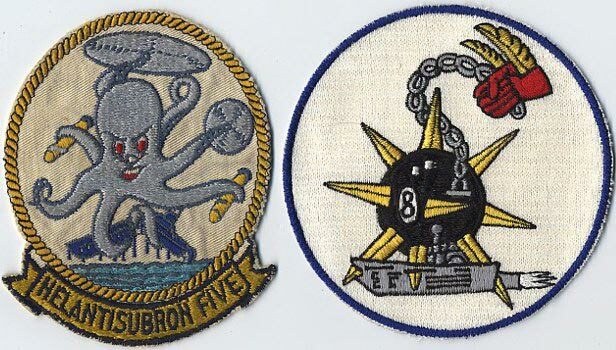 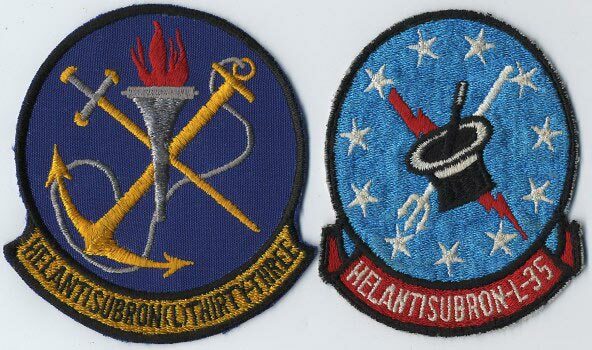 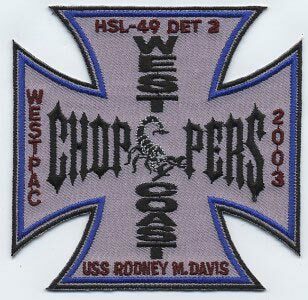 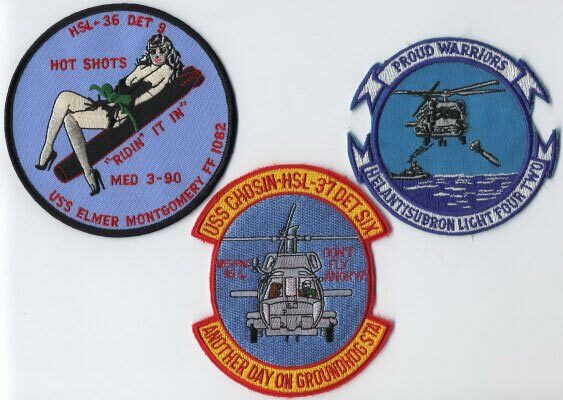 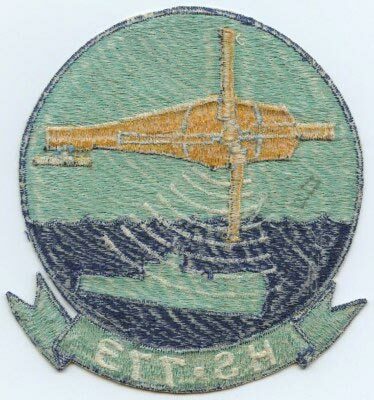 Saw Duty in SEA and the MED; served in CVW-3; Relocated to NASJacksonville, FL; received SH-3Hs. 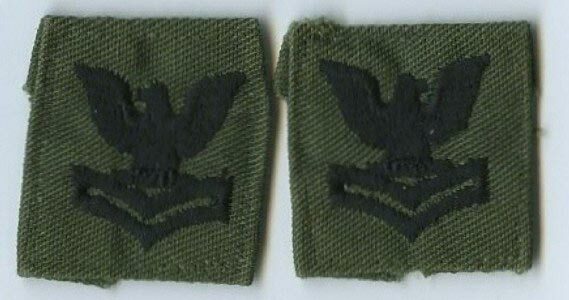 assigned me as communications officer to set up the Communications Department. 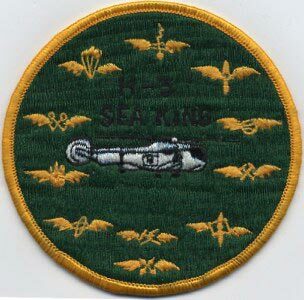 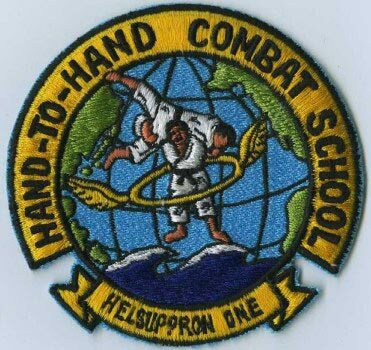 At the time I was an AN with my 3rd class pending so I was senior enlisted man. 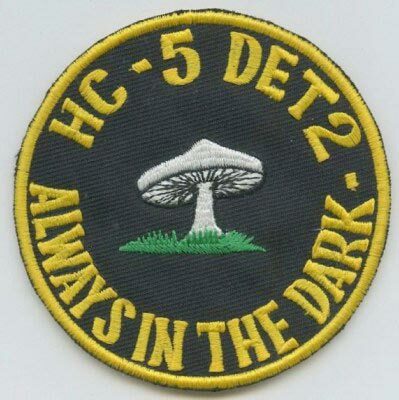 with 4 non-rated men under me and 23 officers over me. 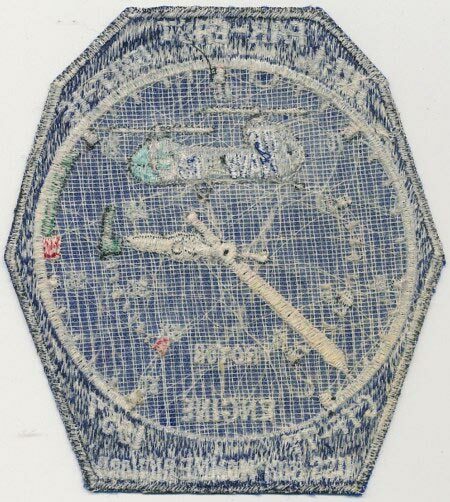 and harpoon one with a radio transmitter. 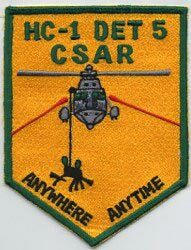 One was found and the radio attached. 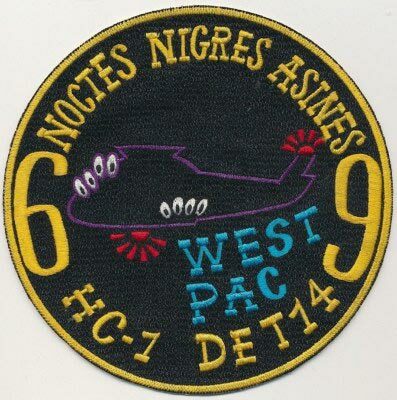 I still remember what the pilot wrote on the Operations Mission board, "gone fishing". 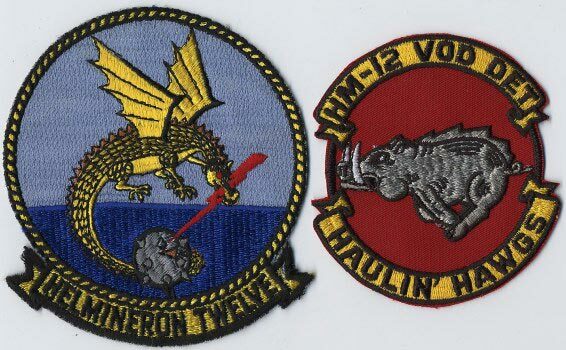 I think about June 1962 we got orders to get ready to go overseas on the USS Lake Champlain CVS-39. 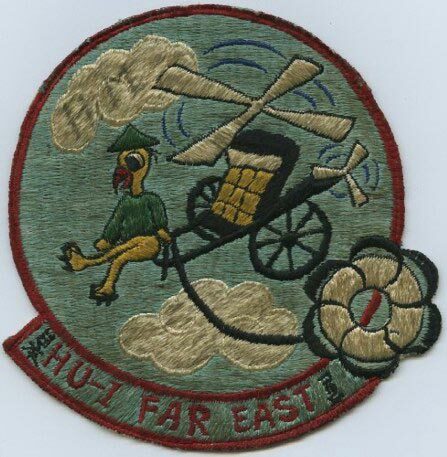 I asked the officer in charge if I was going with the Squadron or would I be left behind to be discharged. 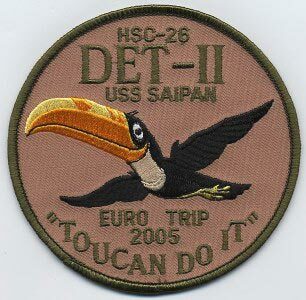 He said I was going and they would fly me back for discharge; well, none of us went. 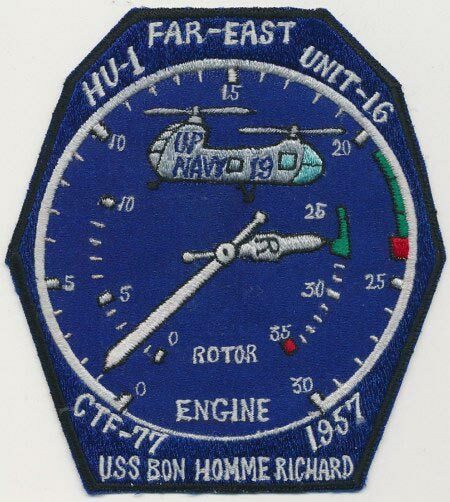 I remember helping HS-11 take their helos aboard the USS Lake Champlain as it sat at the pier. 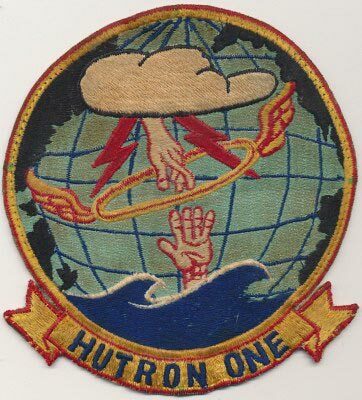 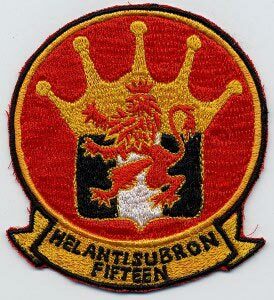 In about July of 1962 they started shuting HS-13 down. 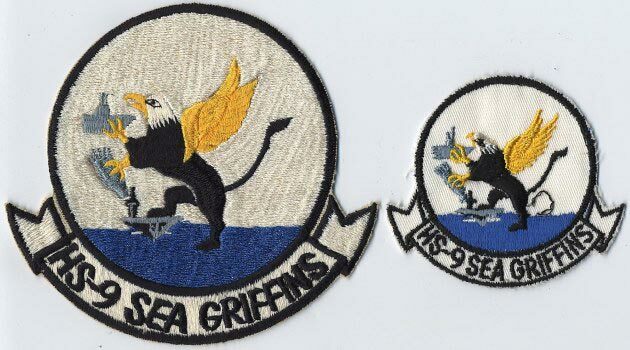 In August 1962 I was discharged from the Navy from what was left of HS-13, about 7 people, and most of them were there only to discharge us. 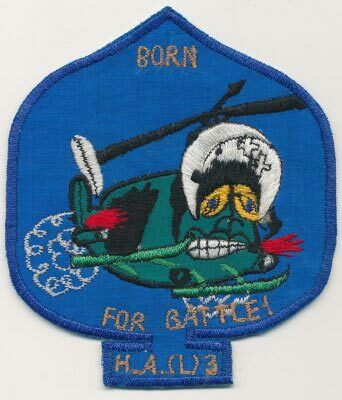 I may have been the last one to be discharged. 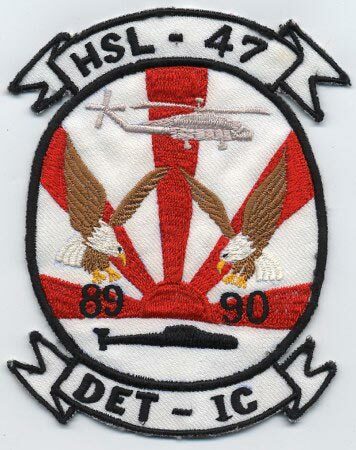 Everyone else that was left was going to be transferred. 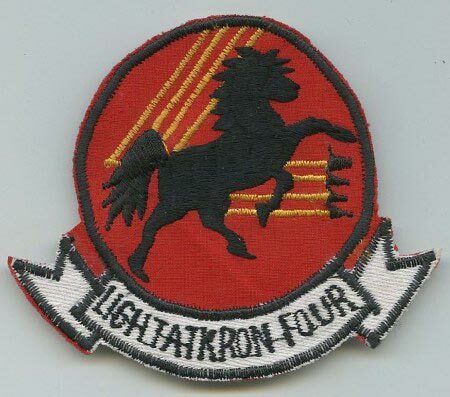 I would think that there are not too many people that put a squardon into commision and then took it out the next year. 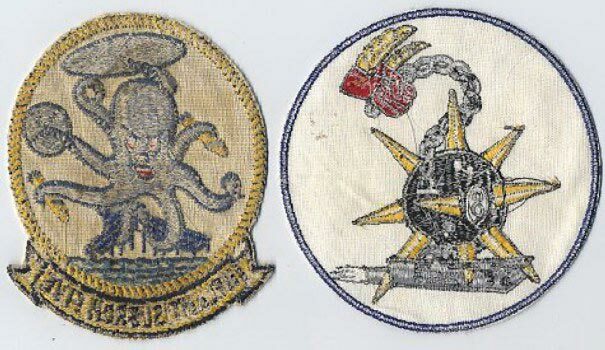 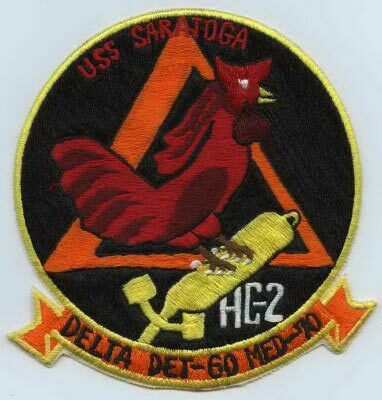 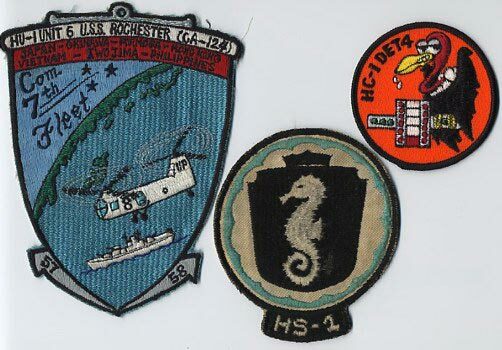 Before assignment to HS-13, I was aboard the USS Ticonderoga (CVA-14) in WESTPAC. 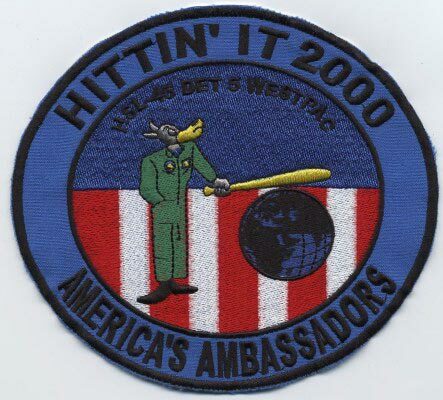 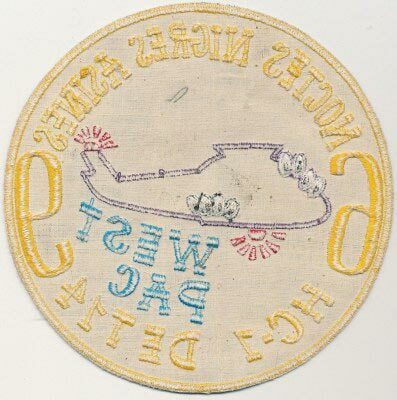 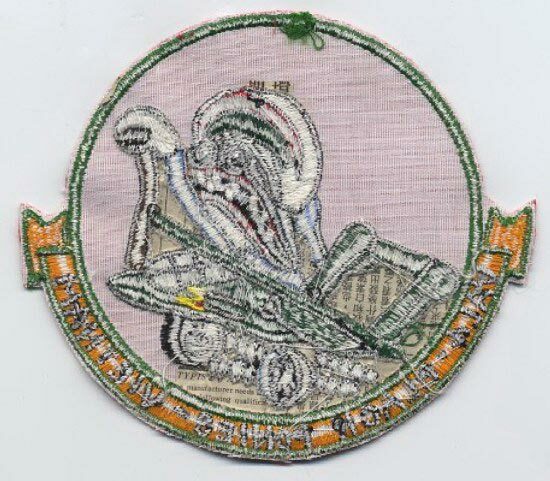 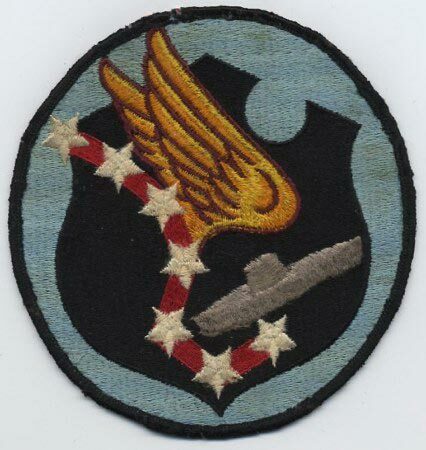 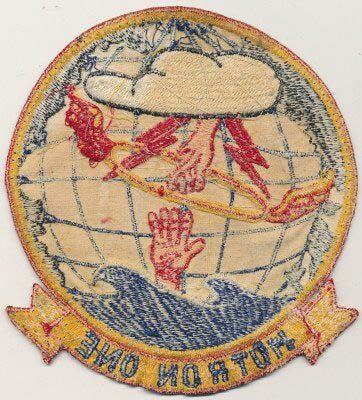 I had a patch that looked like this one(shown above) except it had "plank owner" on it." 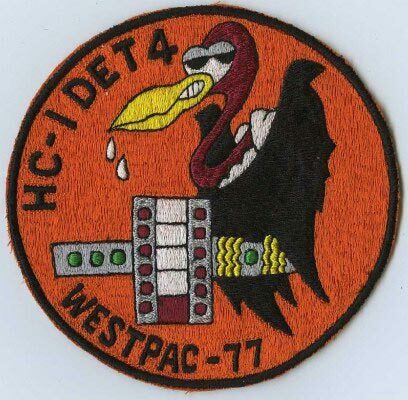 This may be DET-11 vice the DET-2 on the patch? 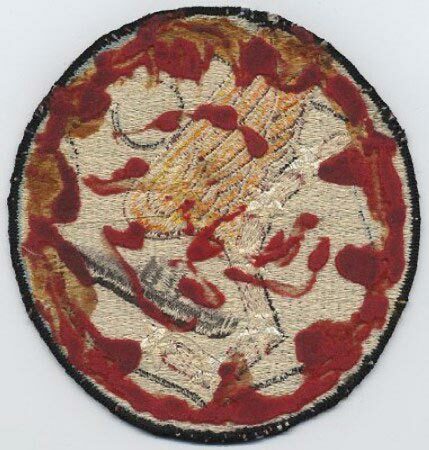 I am a fearless Samurai (Warlord), Master of the Sky. 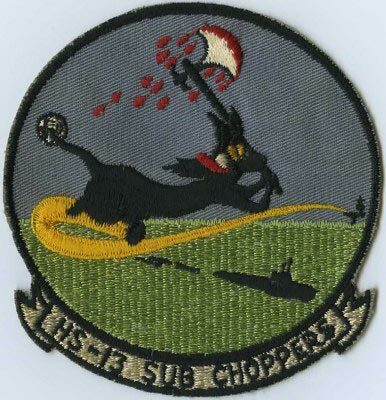 No enemy is safe from me and my Helicopter. 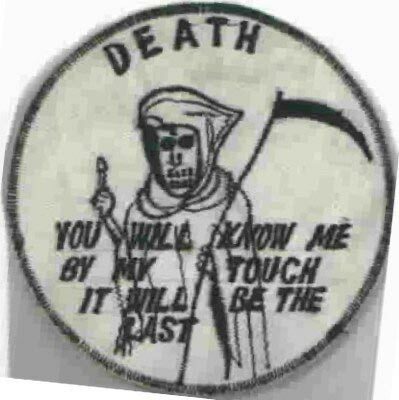 But my friendship is yours for the price of a beer. 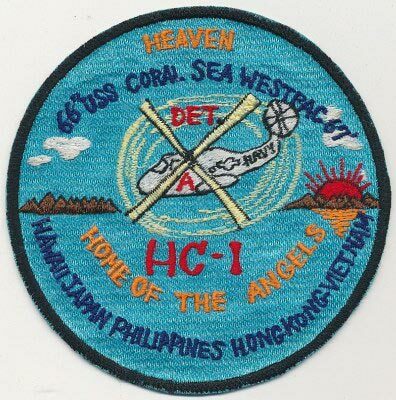 And when it is time to part as friends, please take me back to Atsugi Base. 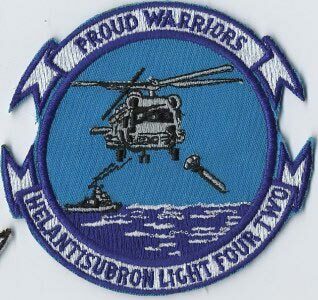 SH-60B Seahawks equipped with the LAMPS MK III (2nd generation LAMPS) system introduced in 1984 utilizing the Sikorsky SH60-B Seahawk helicopter. 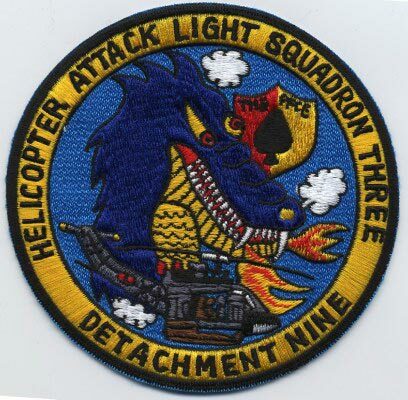 LAMPS MK III SH-60Bs provides a platform for detection of submarines using RADAR and Electronic Support Measures; plus delivery of MK-46/50 Torpedoes, AGM-119B Penguin and AGM-114B/K Hellfire missiles. 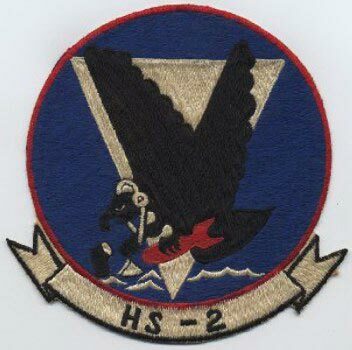 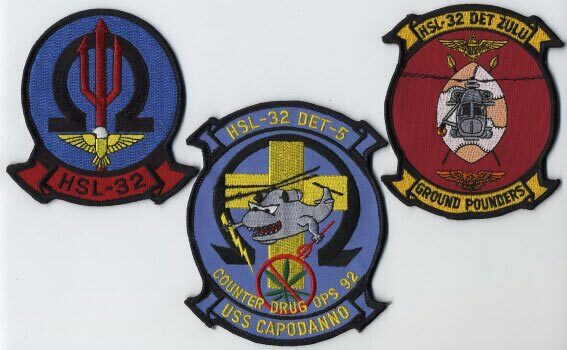 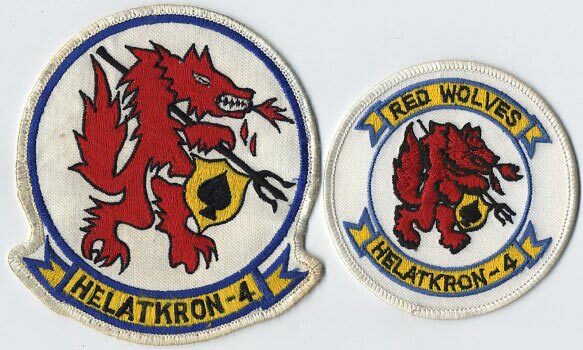 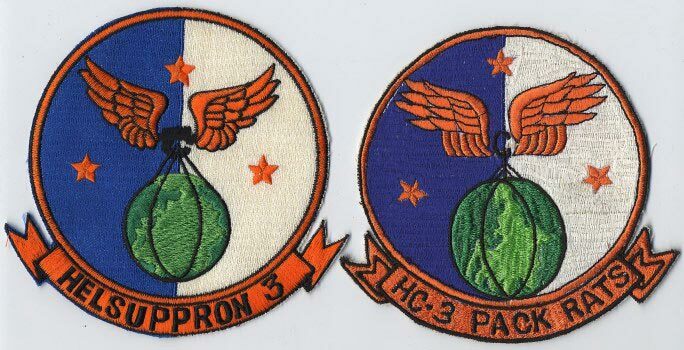 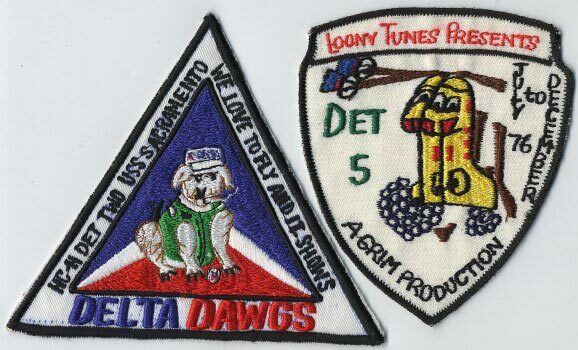 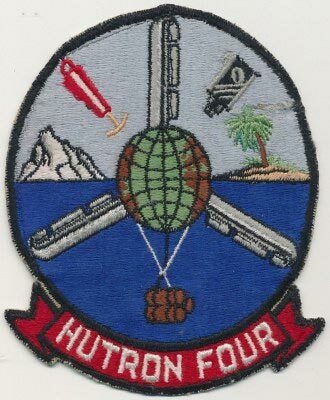 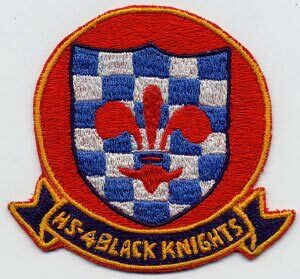 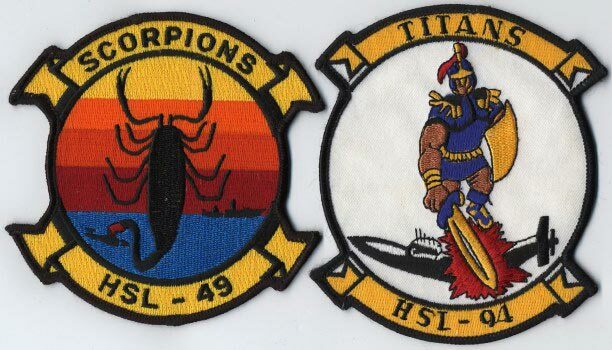 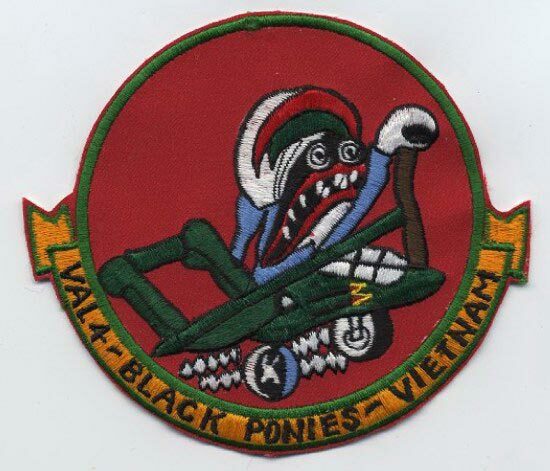 HAL-3 DET II - FIRE TEAM "RUNG SAT RIPPERS"
HAL-3, DET-5 "CHIEN DAU CO"
VAL-4's callsign was "Black Pony(ies)"
VAL-4 commissioned January 3 1969 flying Rockwell OV-10A Broncos NAS North Island. 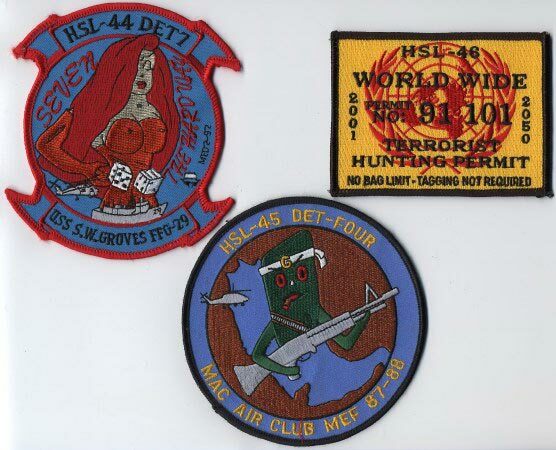 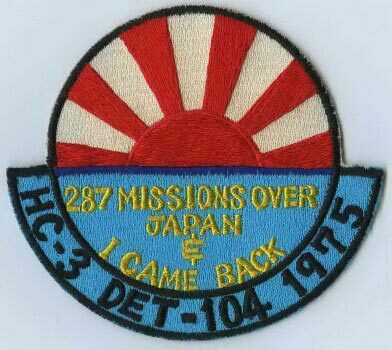 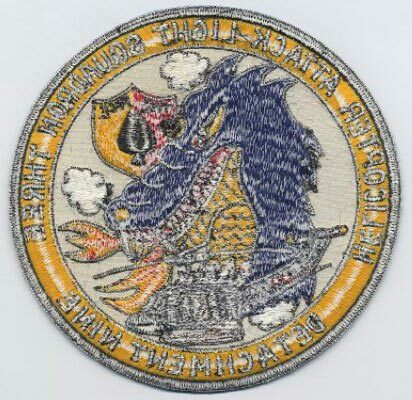 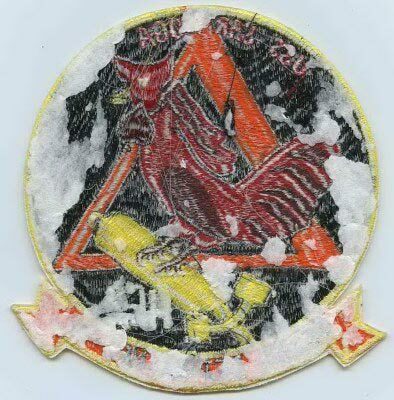 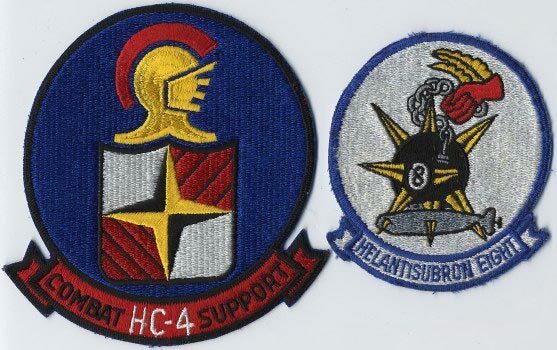 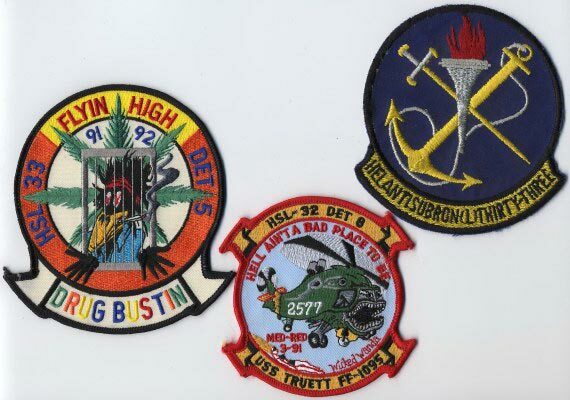 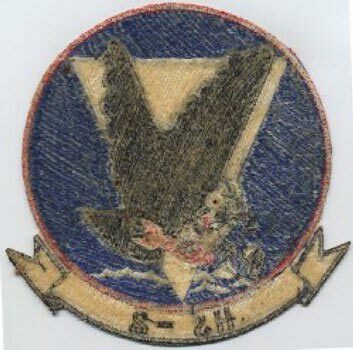 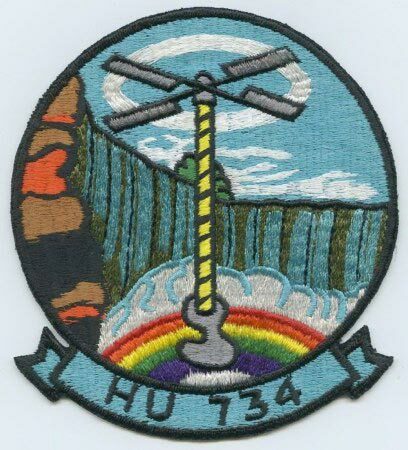 The Squadron moved to Vietnam and established 2 x in-country detatchments in March of 1969. 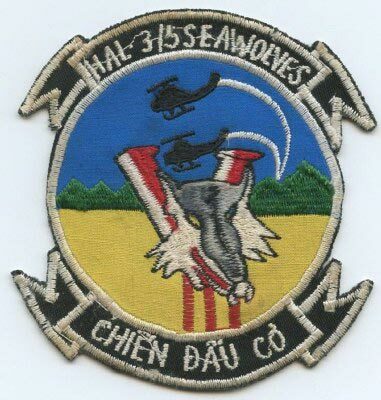 Flying operations began in April flying out of Binh Thuy and Vung Tau supporting the Brown Water Navy in Mekong Delta. 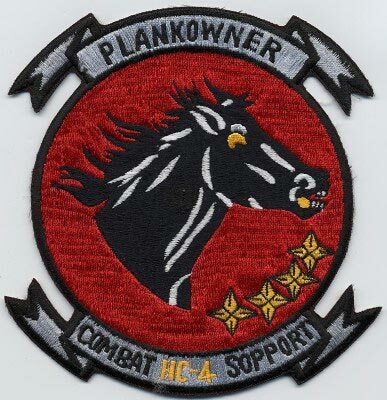 Carrying more ordnance faster than UH-1 choppers of HAL-3 soon made the Black Ponies a favorite among ground troops. 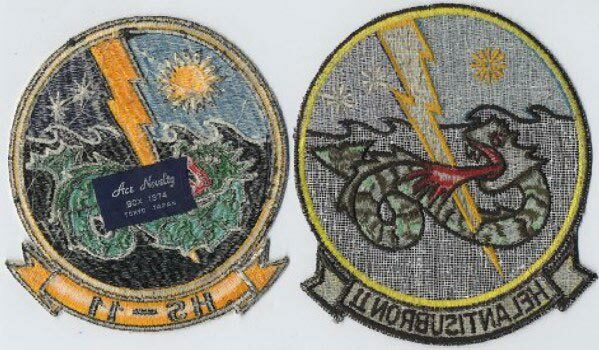 the Yellow Jacket had silver wings with black markings, a brown body outlined in black, the head and stinger tail were yellow with black markings; the lightning bolt from the tail was black and the explosion was yellow outlined in black. 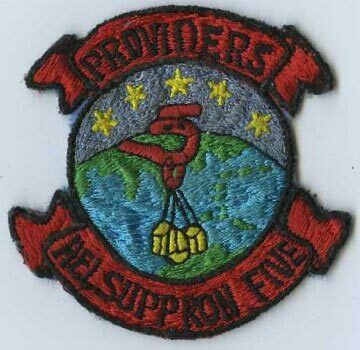 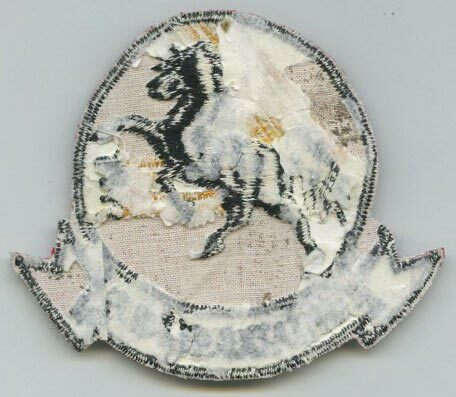 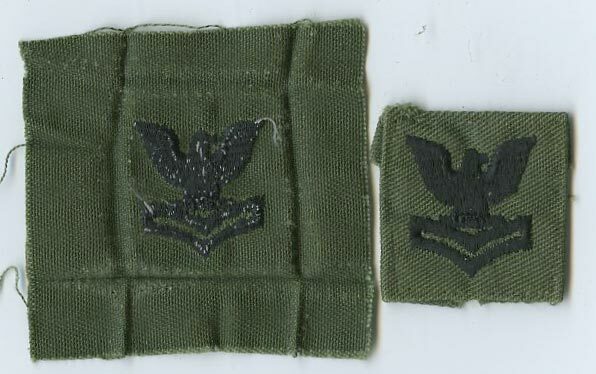 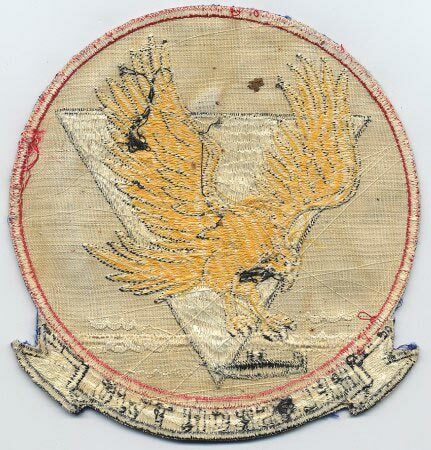 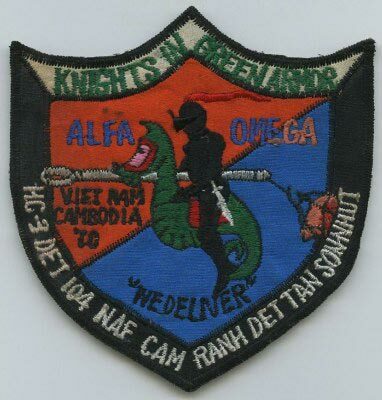 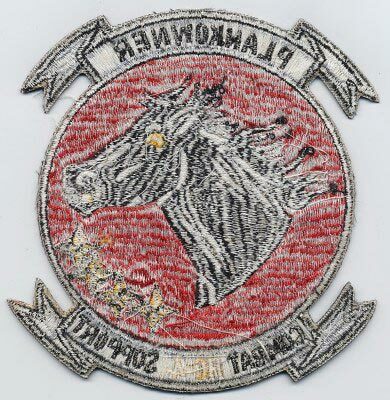 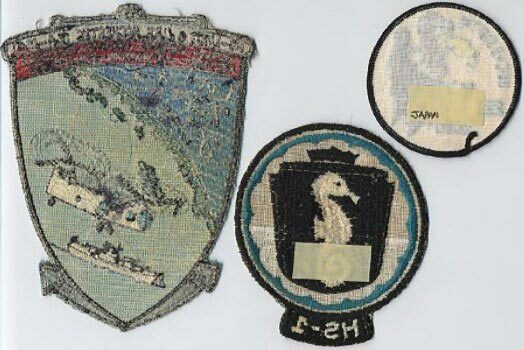 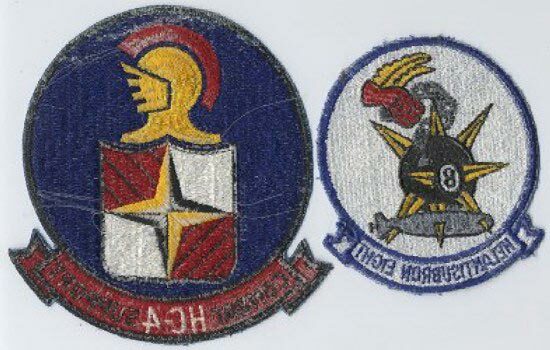 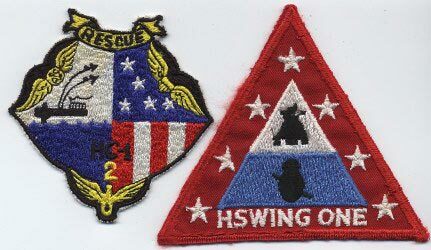 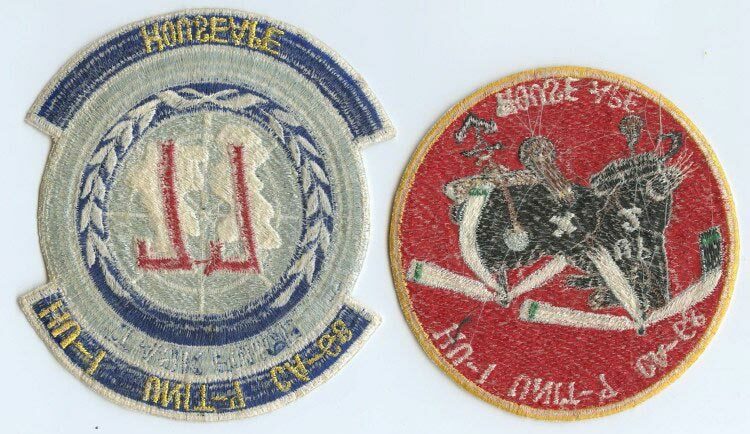 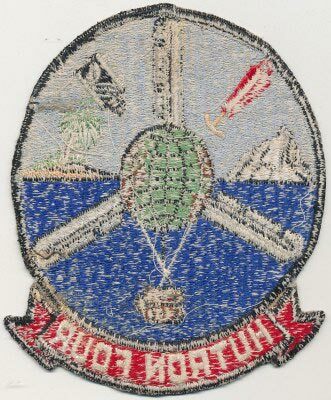 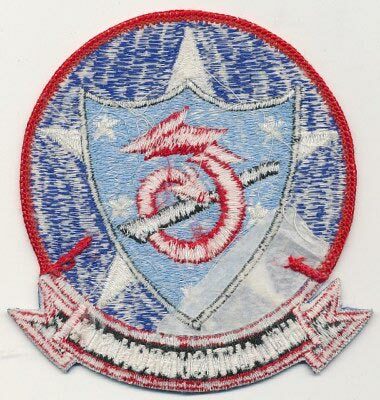 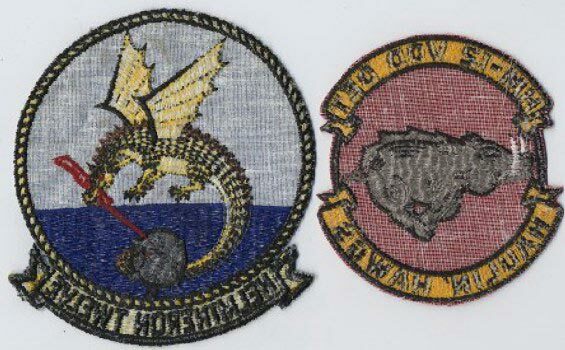 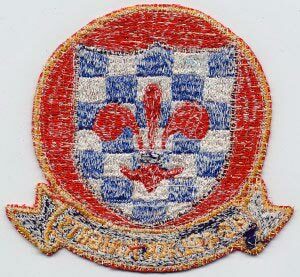 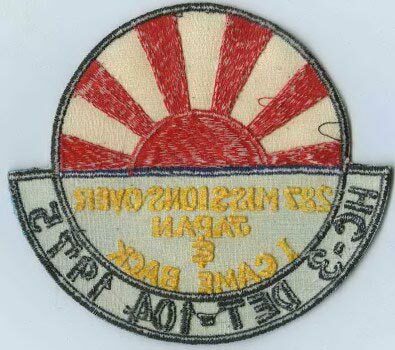 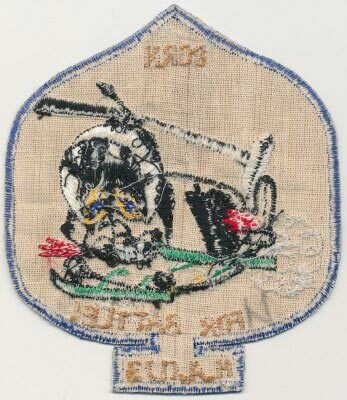 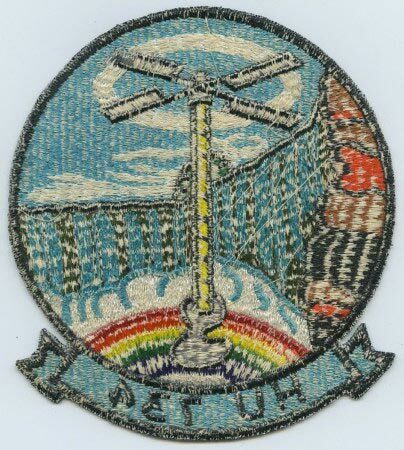 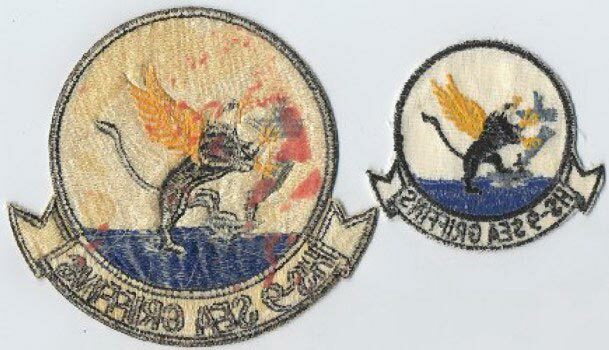 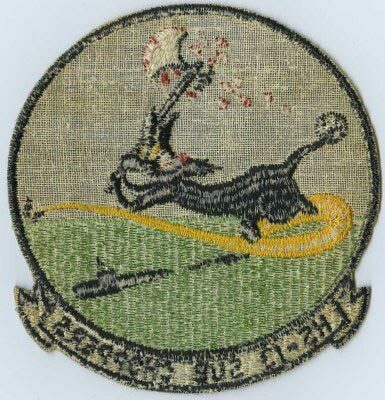 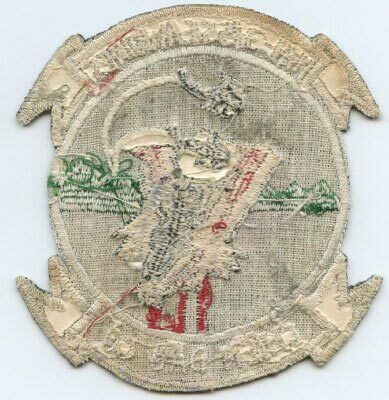 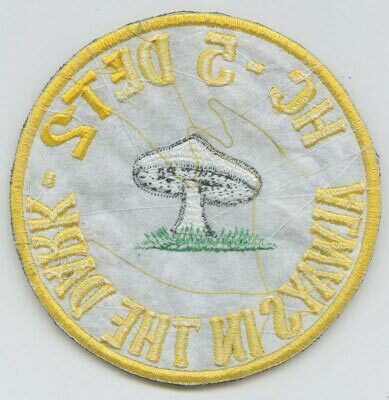 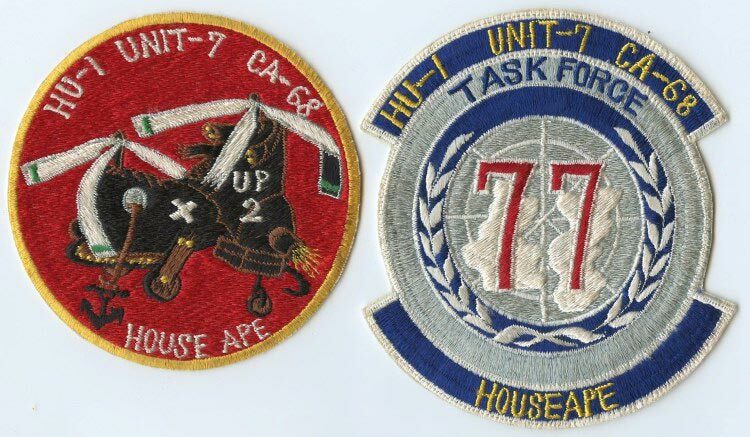 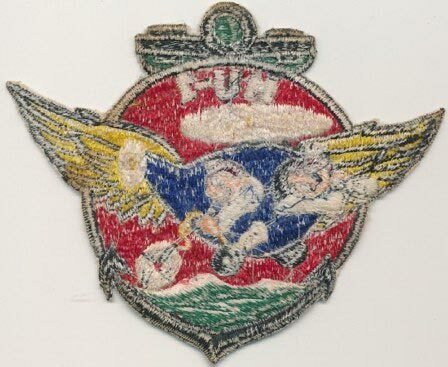 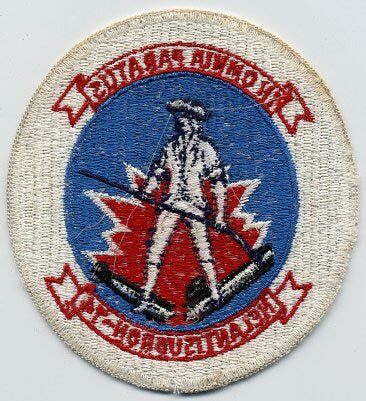 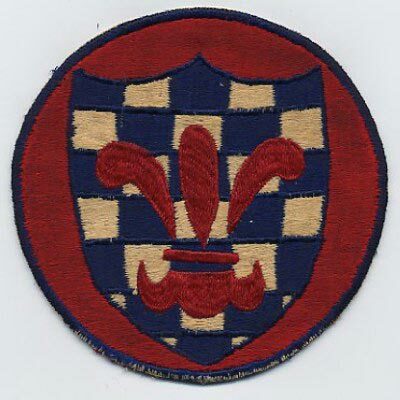 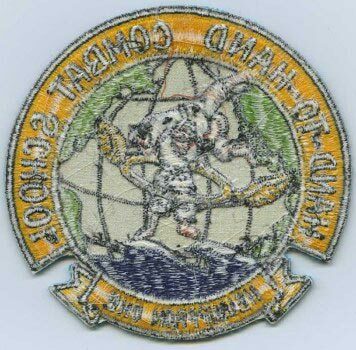 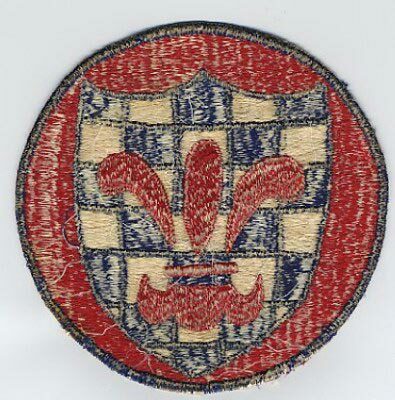 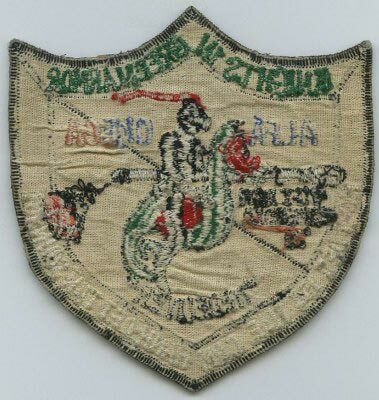 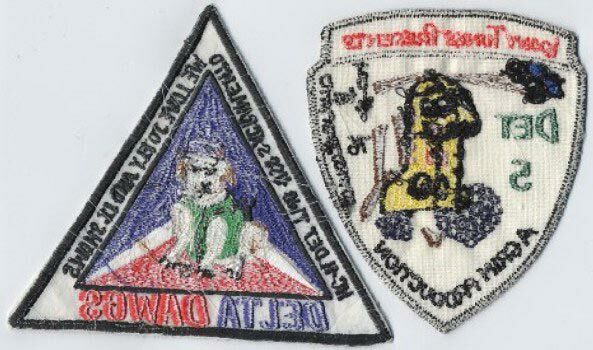 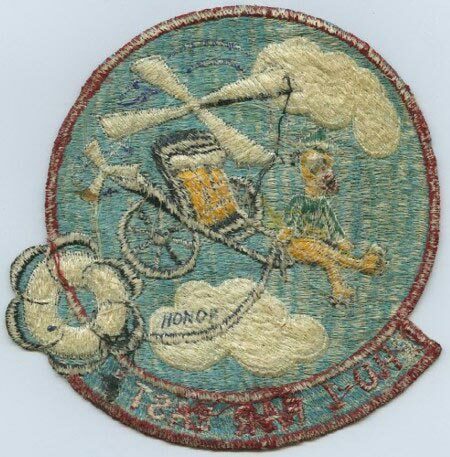 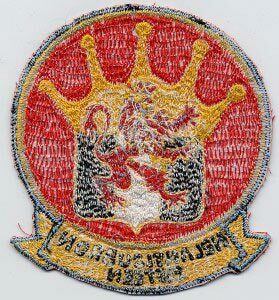 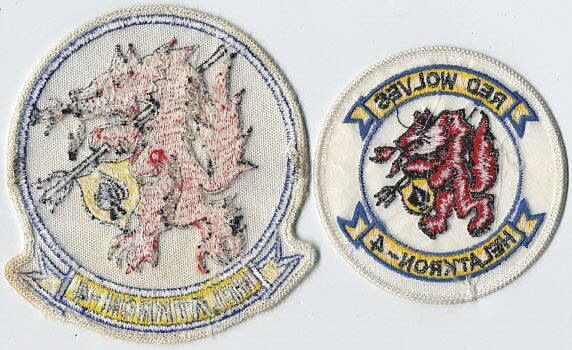 The Pony Patch was worn long before it was officially approved in 1971; there was a version of the patch that added the words "Bravo Det" and was worn by the guys that got assigned to the detachment in Vung Tau.